Although NASA hasn't made any official announcements, Senator Bill Nelson and an anonymous White House official have both made public America's plans for its next phase of human space exploration. The ambitious proposal calls for a probe to capture a small asteroid in 2019 and bring it near the Moon. Astronauts would then explore the asteroid in 2021. This would be the first time humanity has left low Earth orbit since Apollo 17 in 1972, and it could set the stage for a NASA mission to Mars. Senator Nelson (D-FL), who is the chairman of the Senate Science and Space Subcommittee and who flew into space on Columbia in 1986, discussed the plan in a Friday press conference, and an unnamed White House official confirmed the plan in an email to NBC News. The plan calls for a robotic probe to capture a small, near-Earth asteroid, placing the rock in what NASA's Donald Yeomans compares to "a baggie with a drawstring." 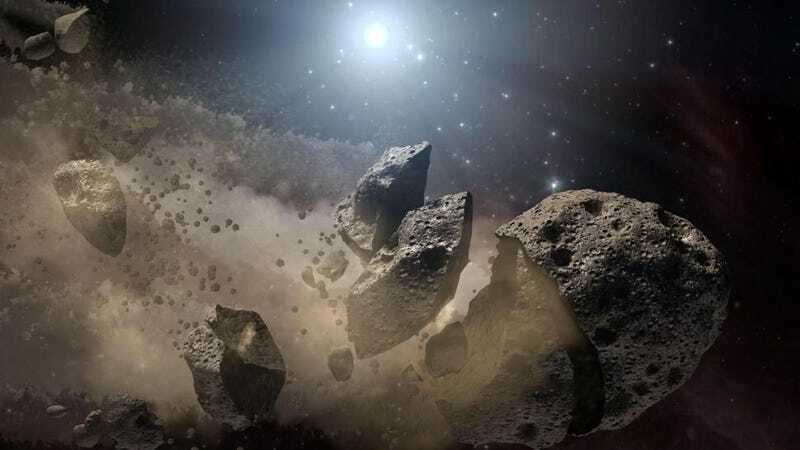 NASA would target an asteroid in the 500-ton and 25-feet range, which is too small to pose any threat to Earth; even if it somehow got on a collision course with our planet, it would just burn up harmlessly in the atmosphere. "This mission would combine the best of NASA's asteroid identification, technology development, and human exploration efforts to capture and redirect a small asteroid to just beyond the moon to set up a human mission using existing resources and equipment, including the heavy-lift rocket and deep-space capsule that have been under development for several years." The plan would reportedly call for $78 million to be allocated in 2014 budget to plan out the mission. According to the official, the White House decided to move ahead with this specific plan after a meteor exploded over Chelyabinsk, Russia in February. The hope is that close-up exploration of the asteroid will allow humanity to be better prepared for future strikes. Both Senator Nelson and the official mentioned that this asteroid mission could lead towards exploration of Mars in the 2030s, although neither elaborated on what specific steps here would allow for subsequent trips to the Red Planet. For more, check out Cosmic Log and The Associated Press. Illustration via NASA/JPL-Caltech.